Four years of December Nights memories. – Cool San Diego Sights! Four years of December Nights memories. December Nights begins this afternoon! 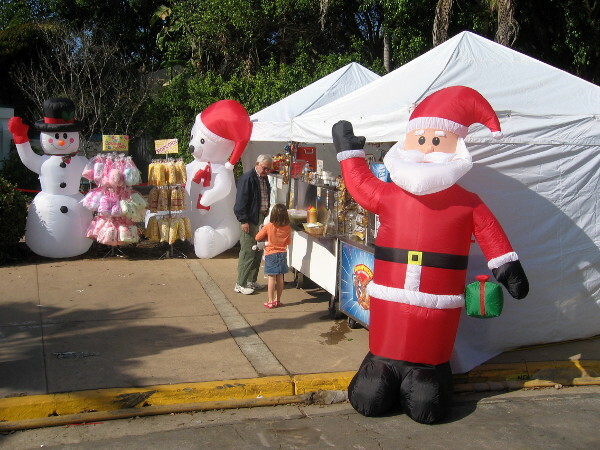 The big holiday festival in Balboa Park runs today from 3:00 pm to 11:00 pm, and tomorrow from noon to 11:00 pm. The past four years, Cool San Diego Sights has featured many fun photos from December Nights. So many smiles! So many heartwarming memories! Perhaps you’d like to relive those moments in time. Simply click the following links! Searching for Santa at December Nights! Fun photos of 2015 December Nights in Balboa Park! Joyful colors of Christmas at December Nights. Previous Previous post: Public art painted from dark, painful experience. Next Next post: Holiday lights shine brightly at December Nights.